WorkFusion, entrevista a nuestro consultor de TI y automatización de procesos, Tim Riewe, por liderar con éxito la implantación de RPA Express en GT Asesoría, firma de contabilidad española de tamaño medio especializada en la administración de procesos fiscales y laborales para sus clientes. WorkFusion: Tell us about the client and how you suggested RPA Express to them. Tim Riewe: GT Asesoría is a medium-sized Spanish accounting firm that specializes in administration of fiscal and labor processes for its customers. Before proposing RPA Express to them as a potential solution, we spent a lot of time evaluating its possibilities and limitations. In its early versions, it contained the very basic desktop automation possibilities one could expect. However, in months that followed, we noticed many new and interesting features being added. Actions to perform OCR, Excel, file and web activities provided a great deal of expanded usability which set it apart from other automation tools. WF: Can you describe the first process you focused on? TR: One of GT Asesoria’s most labor-intensive processes revolved around social security labor documentation. It required a monthly download of reports for all clients (close to 300) from the Spanish social security application, separation of these reports into individual PDF files, assignment of the PDF files to the client tax ID numbers, and deployment of those files to clients via email. In addition, some clients needed to attach bank statements proving they paid social security for workers in the previous month. Additionally, clients needed to confirm the total amount in their systems matched the amount in the social security administration records. If there were discrepancies, an alert would need to be created.This process consumed approximately five to six working days each month, with two to three employees assigned to the task. WF: How did you address that with RPA Express? Altogether, it comprises six sub-tasks, with a few manual steps and some waiting time in between. The PDF documents to be processed all had the same format — only the content changed. Below is an example of an “RNT” document, with relevant fields highlighted. WF: How long did it take to implement this process? TR: It’s difficult to determine the exact implementation timeline, as we rolled the solution out in several versions — always following new RPA Express releases and applying improvements as they came. The initial project start was September 2017, and the first real data was processed in October — always with close supervision from the key user. A few errors needed correcting and processes needed tweaking, but since February 2018, the overall system has been stable and working well. WF: What kind of workflow improvements have been generated? TR: In total, time resources were reduced from five or six days per month to just two. Personnel requirements were reduced from two or three employees to one key user who supervises execution of the robot. With their freed-up hours, employees can dedicate more time to analysis and optimization of labor costs for their clients. In addition, they now have time to think about more process improvements, with or without RPA. For example, a project to review the client journey with the company is planned: client creation, modification/updates and closure. Another major improvement resulting from the automated process was consistent and error-free naming of all processed PDF files. This made it possible to tackle a next challenge: archiving files in the document-management system. WF: Tell us more about that challenge. TR: Until that point, all documentation was held within the file system of the company, buried inside several layers of folders and subfolders. Finding the right files for each client was difficult, and there was no guarantee of 100% completion. GT Asesoria did have a document-management system in place, integrated with their small-scale ERP system, but they never had time to organize and archive files as needed. The decision was made to create a process for automatic categorization and upload of fiscal documents and social security documents (which had been created in the previous monthly process). No keystroke shortcuts could be used, and any action needed to take place via mouse click. Objects on the screen could not be uniquely identified by their attributes and, as such, RPA Express Lumen’s inspector capabilities could not be of help. WF: How did you develop a workaround for that? WF: Did that generate the results you were looking for? TR: As you can see in the screenshot above, we went from zero fiscal documents in April 2018, to more than 13,000 fiscal documents loaded at present. The social security documents loaded since October 2017 total 4,600. Another positive outcome was the solution’s speedy implementation time. Including testing, GT Asesoria was able to begin uploading documents using the robot after just two weeks. WF: Overall, what was the impact on GT Asesoria, and how did RPA Express drive that? 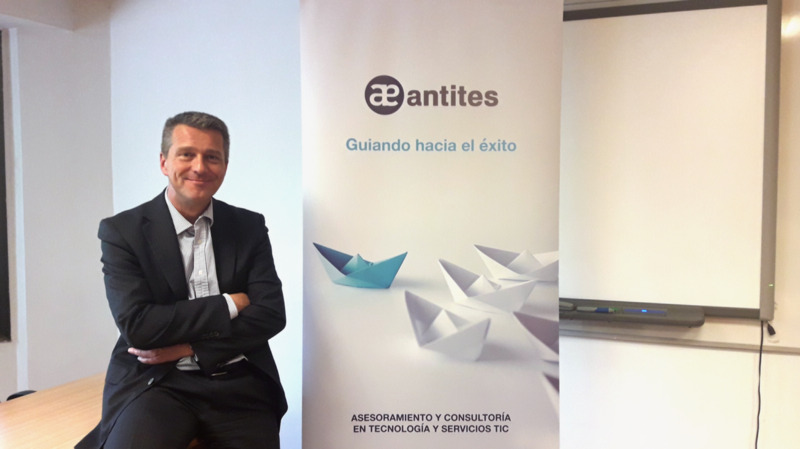 TR: Both processes are now running on a regular basis, allowing employees of GT Asesoria to dedicate time to value-added tasks that were not feasible before implementation of RPA Express. Expanding functionality of RPA Express. Despite being a free, beta version, it provided excellent support to its user community via Knowledge Base, WorkFusion Forum, and individual support tickets tirelessly solved by the Product team. I sincerely look forward to leveraging RPA Express to drive more project successes and provide greater value for our clients in the future.